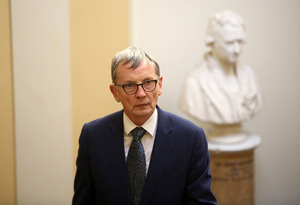 Dr Gabriel Scally, who is leading the scoping inquiry into CervicalCheck’s screening programme has released a statement to say it “appears” that he now has access to files pertaining to his inquiry. 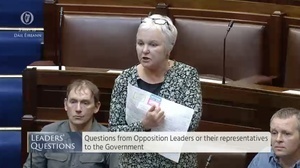 Yesterday, Limerick mum-of-two Vicky Phelan told Miriam O’Callaghan, on Today With Sean O’Rourke, that she had been speaking to Dr Scally and he was waiting on 2,000 files from the HSE. 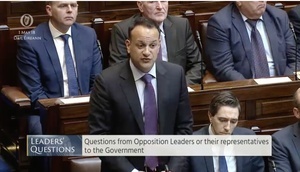 “As of today, it appears we now have access to documentation being provided to us by the HSE in a searchable format and with all redactions, apart from those relating to patient confidentiality, removed. Ms Phelan was recently awarded €2.5 million in a settlement against Clinical Pathology Laboratories in Austin, Texas – which receives outsourced smear tests from Ireland. She was given a false negative smear test in 2011 and subsequently diagnosed with cervical cancer in 2014. She was only informed of the 2011 misdiagnosis last year. Ms Phelan now has terminal cancer. “We’re still delay, deny, defend. And I spoke to Gabriel Scally earlier and he said he’s still being delayed with information. He’s waiting on 2,000 files. And everything is being put through lawyers. Why is that happening? I mean if they’re putting everything through their lawyers, there has to be a reason for that? 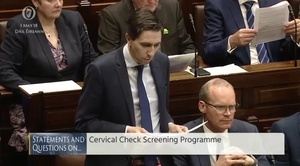 Yesterday, it emerged the number of cases involved in the CervicalCheck scandal has risen by 12 from 209 to 221, while the number of legal cases has risen to 35. Posted in Misc and tagged CervicalCheck, Gabriel Scally, Vicky Phelan at 12:15 pm on July 6, 2018 by Bodger. Those were proud times for Noonan. do people expect the HSE to be able to produce thousands of specific documents, check them and redact them for privacy in a matter of weeks? I’m still unsure as to what blame is being attributed to the HSE in all this. The woman sued the American lab and won. what fault sure the HSE bear here? 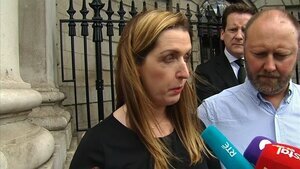 Vicky Phelan summarises it quite nicely. Everything is being put through lawyers. “They have a whole legal team in there looking at everything before they will pass it on to [Dr Gabriel Scally], before they will pass on the files to the women who are looking for them to take their court cases. “Everything is heavily redacted that Gabriel is getting. And it’s answered in Scally’s memo. they’re redacting (i.e. hiding) patient personal identification information.